C5055A From sharp lines to photo-quality images—HP 90 printing supplies get the job done right. 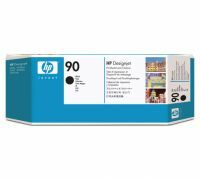 To ensure consistent print quality, HP Smart technology in HP printheads, ink cartridges and the printer makes automatic adjustments to optimize print quality and reliability and monitors printhead life. You save time and increase your productivity, making HP supplies an excellent value. (Using genuine HP supplies ensures availability of all HP printing features). 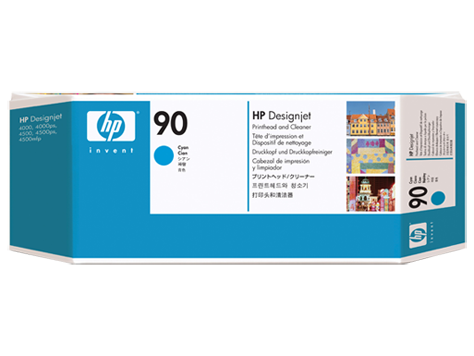 To Recieve updates and possible rewards for Hewlett Packard (HP) HP 90 Cyan Printhead and Printhead Cleaner please sign in. To Recieve updates and possible rewards for Printer Cartridge, Ink & Toner please sign in.